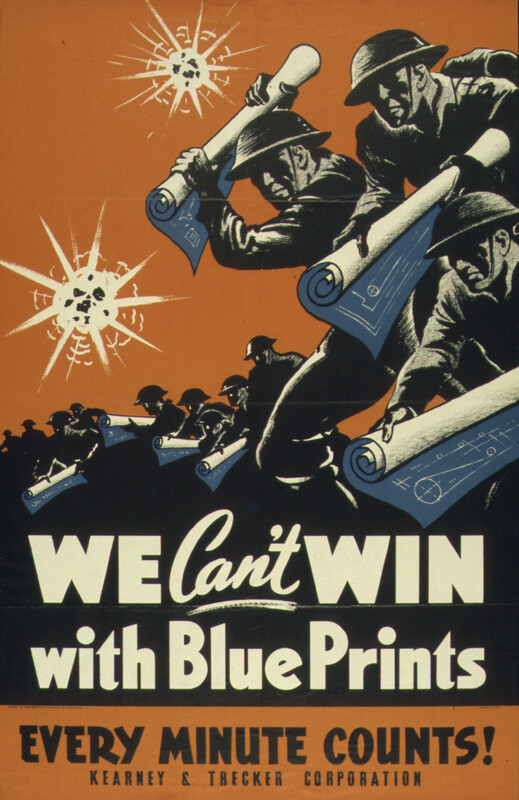 WW II USA Poster "We can't win with Blueprints" by the Office for Emergency Management. War Production Board, ca. 1942 or 1943. Based on File:We Can't Win with Blue Prints - NARA - 534599.jpg in public domain.